Ariane (Dubai, 06, The United Arab Emirates)’s review of Can You Keep a Secret? Ariane's Reviews > Can You Keep a Secret? 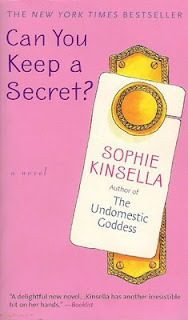 Sign into Goodreads to see if any of your friends have read Can You Keep a Secret?.